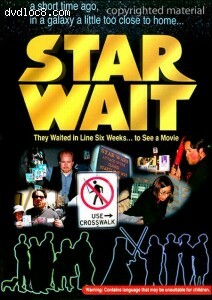 This page contains easter eggs for the disc Star Wait (DVD, Region 1). Highlight "Episode 1: The Line Starts Here" on the Main Menu and press your Right button three times. You'll then beable to see some of the members' badges up close.